Thank you to those that organized and attended the AIPS-sponsored events at the Annual Conference on South Asia in Madison, Wisconsin! To view photos from the events, please visit and "like" our Facebook page. 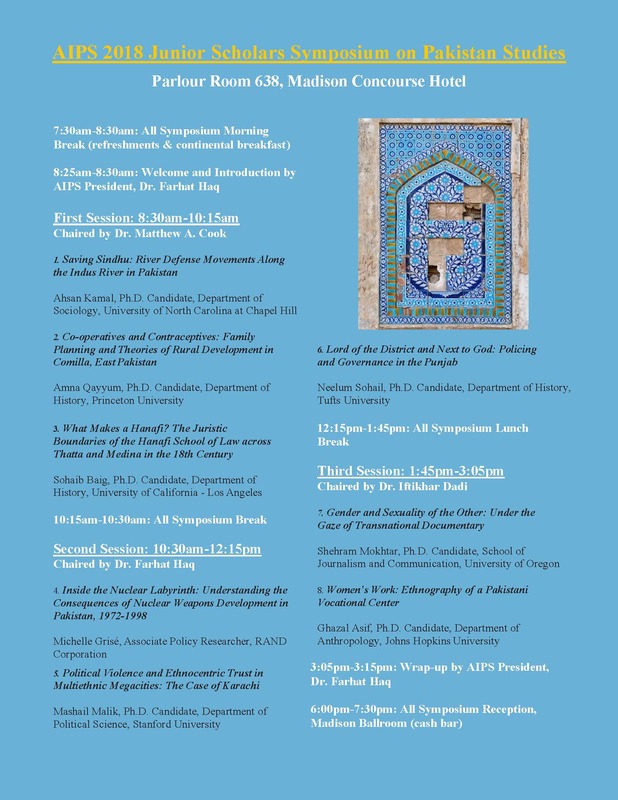 Motivated by the ban on Pakistani scholars from attending the AAS-in Asia conference at Delhi, please join us at this Special Friday Lunch Session: The Disposable Pakistani Scholars at AAS-in Asia (Delhi, India): A RoundTable Discussion. Ms. Sarah Beckham and Dr. Gwendolyn Kirk hosted a "New Pedagogies Workshop Series" at the Lahore University of Management Sciences in September of 2018. Read more about "New Pedagogies Workshop Series"
Welcome to Lahore, 2018 BULPIP-AIPS Students! BULPIP-AIPS students completed their first orientation in Lahore, Pakistan! The Berkeley-AIPS Urdu Language Program in Pakistan (BULPIP-AIPS) is an Urdu immersion program based at the Lahore University of Management Sciences (LUMS) in Pakistan. Read more about Welcome to Lahore, 2018 BULPIP-AIPS Students!